If you are looking for a stable, established organization with a small company feel that will support you with the best facilities, tools and training to help you succeed, Weeks Automotive Group should be on top of your list! The four elements of Weeks Automobile Group: Audi Danbury, Porsche Danbury, Danbury Volkswagen, and The Weeks Pre-Owned Center each have its own unique personality. As four distinct dealerships, they feel more like a small town dealership with friendly employees who get to know the customers personally. We credit our teams of dedicated sales and service professionals with creating this customer experience. Our commitment to our customers and the community is on display every day. All of our facilities are state-of-the art, with the best tools and training available to make our team as effective and efficient as possible. Employee, 11 years with organization: Our Business Development Manager initially started as a receptionist and now heads up her own department. As the Customer Experience Manager she oversees 8 employees who provide superior customer service to our customers. Employee 2 years with organization: A current VW salesperson started out as a receptionist. Based on her enthusiasm for the brand and eagerness to grow, she has quickly created a bright future for herself in sales. 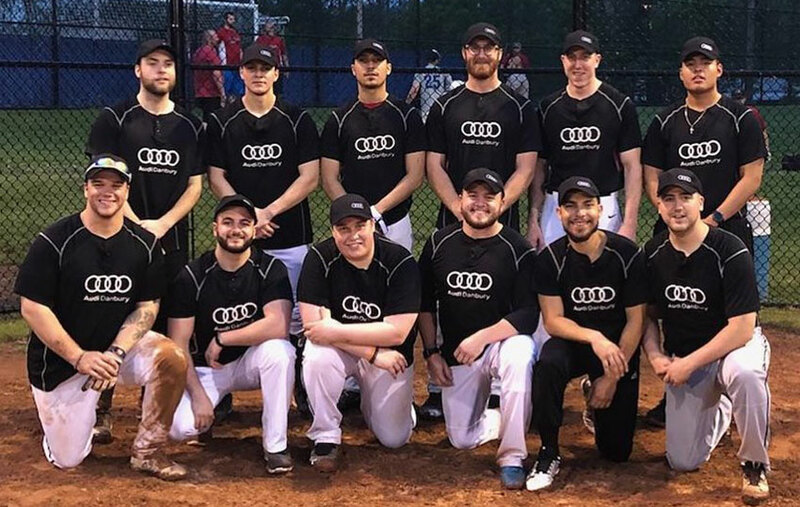 Employee, 3 years with organization: Our Audi Service Writer joined the organization as a cashier, and quickly moved into an elevated operations role. Now, he plays an important part in a customer-facing position, working with Audi owners as they service their vehicles. Employee, 7 years with organization: Our Volkswagen Parts Manager started at the Parts Counter. He was promoted to manager after 5 years, and now oversees operations for the entire department. There are countless success stories across many departments in our organization. Of particular note is the fact that there are more than 5 employees that have been with us over 20 years. Weeks’ commitment to them, and their commitment to Weeks, is unique in an industry where people do tend to move around frequently. Weeks Automotive Group is proud to support the Red Cross, hosting multiple blood drives each year. We're involved in local children’s charities focused on education, like Horizons National, as well as charities for those in need like Salvation Army. We also host toy drives. Our facilities are pet-friendly and we support Woofgang & Co. This is a nonprofit that helps young people with disabilities succeed by creating jobs tailored to the individual, while providing high-quality pet treats and novelty items. We have been recognized by the Danbury Police and Fire Department, as well as Red Cross, Salvation Army, and many local children's charities for our generous support.